YOSEMITE NATIONAL PARK, Calif. -- A Yosemite tourist is trying to find the stars of one of the more epic wedding photographs you'll ever see. 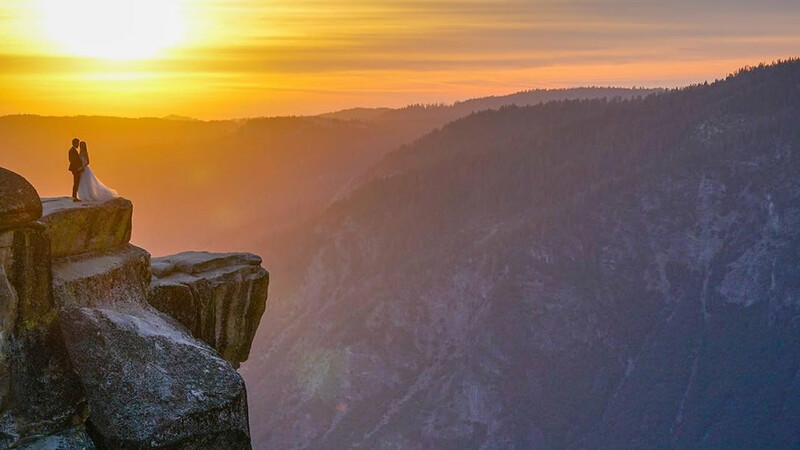 Last Thursday, Mike Karas was hiking towards Taft Point when he stopped to take a picture of the valley below, and noticed newlyweds off in the distance. He did not run into the couple again. And now wants to find them! So if you were in the park that night with your loved one, Karas would love to share the photo with you. Click here for a look at the original photo on Mike Karas' Instagram page.